Asked if BLACK COUNTRY COMMUNION will tour to promote the follow-up to 2012’s “Afterglow”, Glenn said: “It’s impossible to pinpoint that yet or if it will happen at all. Joe and I have to find windows where we can tour, or maybe just play select shows behind the album. The war of words between Hughes and Bonamassa goes back to September 2012, when Hughes began telling journalists that Bonamassa‘s solo touring schedule was preventing BLACK COUNTRY COMMUNION from touring and fulfilling its potential. 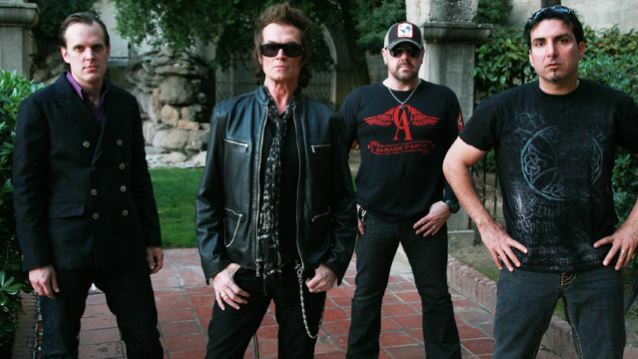 He stated that if the situation didn’t change, BLACK COUNTRY COMMUNION‘s third album, “Afterglow”, could be the group’s last recording project. Hughes‘ first solo album in eight years, “Resonate” will be released on November 4 via Frontiers Music Srl. 2012’s “2” CD from BLACK COUNTRY COMMUNION opened with 8,000 units to land at No. 71. THE WINERY DOGS, the power trio featuring drummer Mike Portnoy (DREAM THEATER, AVENGED SEVENFOLD, ADRENALINE MOB), legendary bassist Billy Sheehan (MR. BIG, TALAS, DAVID LEE ROTH) and guitarist/vocalist Richie Kotzen (MR. BIG, POISON), will take all of next year off while the individual members focus on other projects. The band recently completed a tour in support of its second album, “Hot Streak”, which was released in October 2015 in North America via Loud & Proud Records. “Hot Streak” debuted at No. 30 on The Billboard 200 chart, having shifted 13,000 equivalent album units in the week ending October 8, 2015. 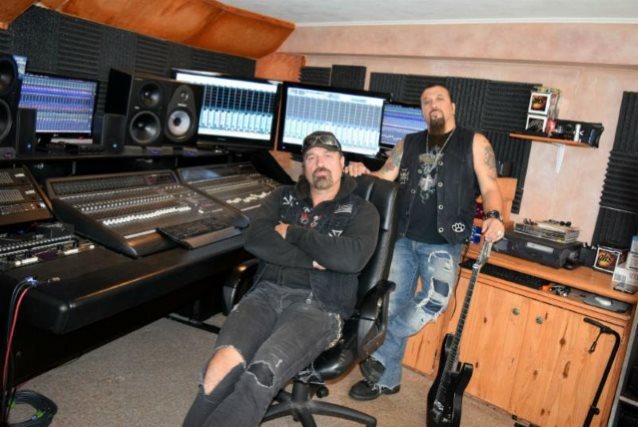 ADRENALINE MOB — the band featuring Russell Allen (vocals; also of SYMPHONY X) and Mike Orlando (guitar) — is preparing to enter the studio to begin recording its new album for an early 2017 release via Century Media Records. Following 2015’s “Dearly Departed”, the forthcoming effort is being recorded by Orlando at his Sonic Stomp Studio. ADRENALINE MOB and TWISTED SISTER drummer, A.J. Pero, died in March 2015 of a heart attack. “Dearly Departed” was released in February 2015 through Century Media. In a departure from “Covertà”, “Dearly Departed” featured, in addition to four cover tunes, a previously unreleased track from the sessions for ADRENALINE MOB‘s second album, 2014’s “Men Of Honor”, three acoustic renditions of songs from both 2012’s debut, “Omertà”, and “Men Of Honor”, and an edited version of the “Men Of Honor” track “Dearly Departed”. ADRENALINE MOB in August 2014 tapped Erik Leonhardt (TANTRIC) as its new bass player following the departure of John Moyer (DISTURBED). Moyer, who had been a member of DISTURBED since 2004, joined ADRENALINE MOB in February 2012 and appeared on the band’s “Covertà” EP (2013) and “Men Of Honor” album (2014). “Men Of Honor” sold around 3,600 copies in the United States in its first week of release to land at position No. 99 on The Billboard 200 chart. The band’s full-length debut, 2012’s “Omertá”, opened with around 6,600 units to enter the chart at No. 70. METALLICA will unleash “Atlas, Rise!” to fans this coming Halloween at 3:00 p.m. EST / 12:00 p.m. PST. 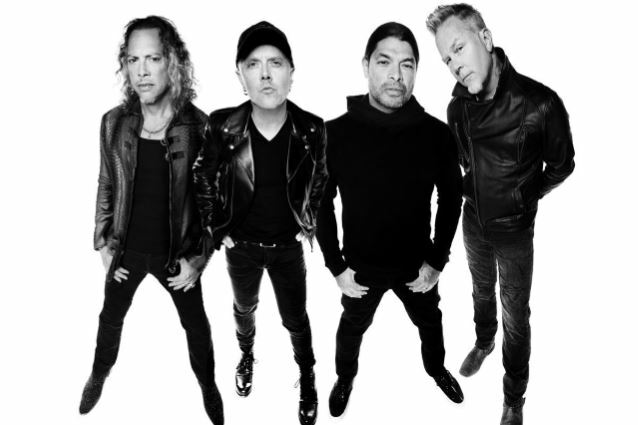 The song is the third track to be released from METALLICA‘s forthcoming album, “Hardwired… To Self-Destruct”, due for release on the band’s own Blackened Recordings on November 18 and follows previously released tracks “Hardwired” and “Moth Into Flame”. To help fans get into the Halloween spirit, starting this Friday, October 28, METALLICA fans around the world can visit select independent record stores for the chance to obtain a free limited-edition “Hardwired… To Self-Destruct” Halloween mask. Inside of each mask, fans will find a special access code that will allow them to hear “Atlas, Rise!” 30 minutes prior to its official release on Halloween. To see a complete list of participating record stores, visit www.metallica.com. The long-awaited follow-up to 2008’s “Death Magnetic”, “Hardwired… To Self-Destruct” consists of two discs, containing a dozen songs and nearly 80 minutes of music. “Hardwired…To Self-Destruct” was produced by Greg Fidelman with frontman James Hetfield and drummer Lars Ulrich. The band recorded the disc at its own studio. METALLICA appeared at Neil Young‘s Bridge School Benefit in Mountain View, California on October 22 and October 23. 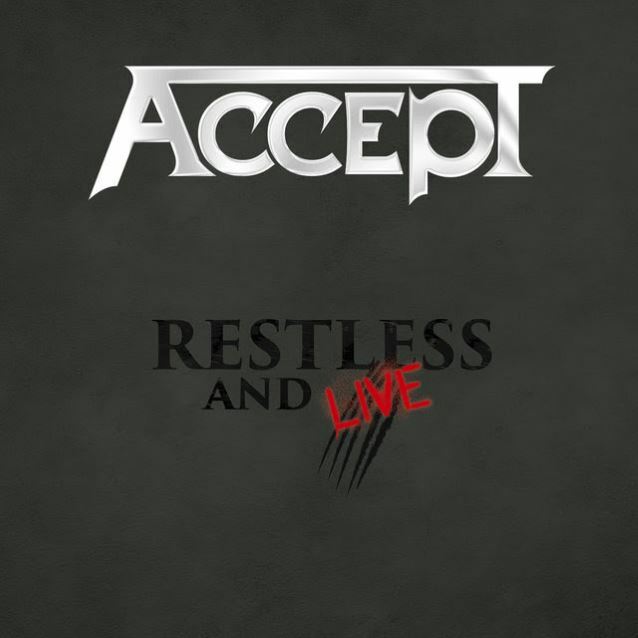 German/American metallers ACCEPT will release a new live set titled “Restless And Live” on January 13, 2017 via Nuclear Blast. This package will include the entire show ACCEPT played at 2015’s Bang Your Head!!! festival in Balingen, Germany on Blu-ray/DVD plus two CDs. To give their fans a taster of what to expect from this forthcoming live release and to make the waiting more tolerable, the live clip for “Stampede” can be seen below. DEEP PURPLE‘s new studio album is tentatively due in early spring, bassist Roger Glover has revealed in a new video message (see below). The as-yet-untitled follow-up to 2013’s “Now What? !”, which was tracked in February at a studio in Nashville, Tennessee, was once again helmed by Bob Ezrin, who has previously worked with KISS, PINK FLOYD, PETER GABRIEL, ALICE COOPER and KANSAS, among others. DEEP PURPLE — which has been eligible for induction into the Rock And Roll Hall Of Fame for two decades now — finally entered the Rock Hall as part of the class of 2016. The band’s first three lineups were inducted, including drummer Ian Paice, guitarist Ritchie Blackmore, late keyboardist Jon Lord, and various singers and bassists — Rod Evans; Ian Gillan and Roger Glover; and David Coverdale and Glenn Hughes. 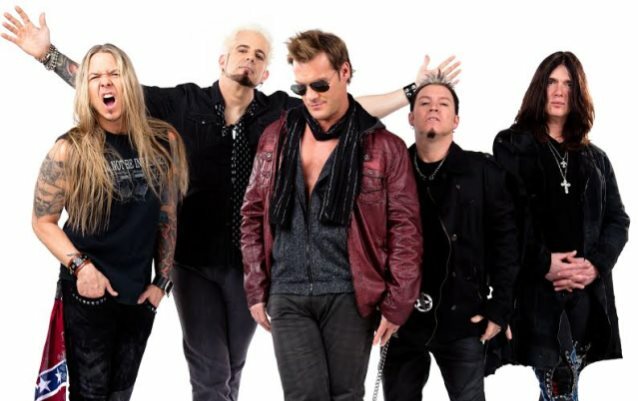 FOZZY — the band featuring WWE wrestling superstar Chris Jericho alongside members of STUCK MOJO — has re-signed with Century Media for the follow-up to its 2014 album “Do You Wanna Start A War”, due next year. “Do You Wanna Start A War” sold around 5,600 copies in the United States in its first week of release to debut at position No. 54 on the Billboard 200 chart. The CD arrived on July 22, 2014 via Century Media.